This weekend, however, Polanski can at least be grateful for one thing: his latest film, Ghost Writer, will be arriving in theaters to rave reviews. Whatever your opinion is about the man, his work speaks for itself. The warm critical reception of Ghost Writer proves this. It also serves as another example of how wildly uneven his career has been. 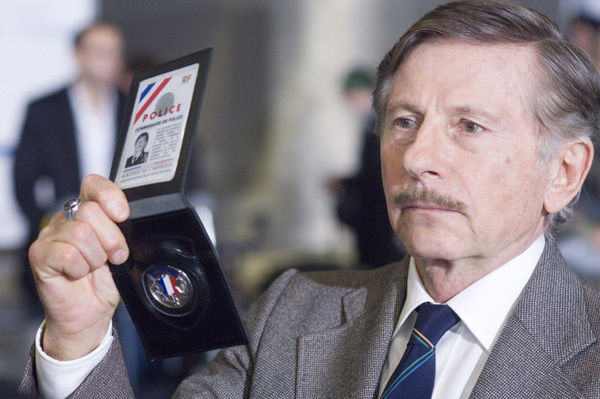 Most people know Polanski as the genius behind Rosemary’s Baby, Chinatown and The Pianist. But let’s not forget that those films are merely the highlights. He’s also been involved with projects that, to put it lightly, stink. Polanski is clearly a genre filmmaker. From Chinatown to Oliver Twist, he has dipped his hand into a multitude of different cinematic worlds. One genre he shouldn’t have bothered with, however, is adventure. Particularly an adventure involving pirates. His first mistake may have been casting Walter Matthau in the lead role. Is he the image that comes to mind when conjuring up what a pirate looks like? In the September issue of Vice Magazine, Hollywood photographer Harry Benson recalled visiting the gorgeous Moroccan set and seeing “lavish costumes” and miles of beaches. As is the case often with a shooting location such as this, the cast and crew had a great time filming the picture — and audiences did not share that sentiment when watching it. 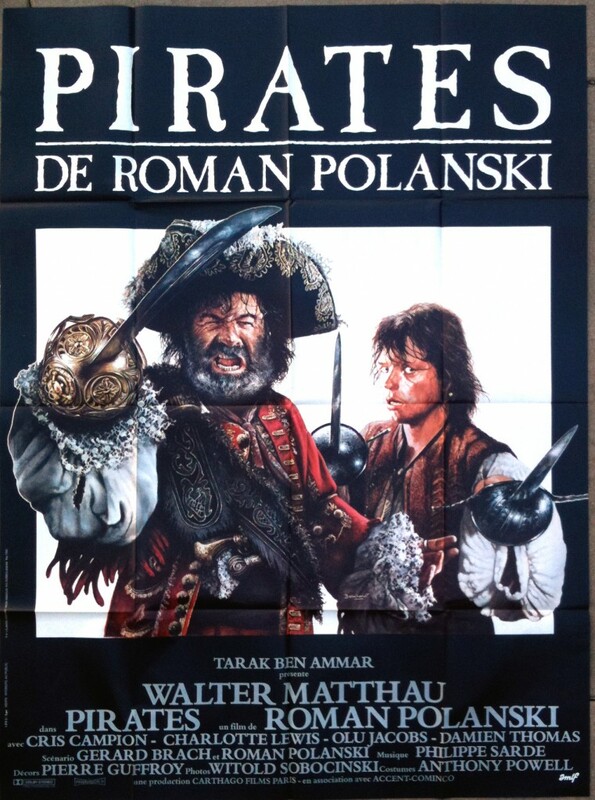 Pirates proves, if nothing else, that Matthau is not an action star and that Polanski is not an action director. We kind of knew that already. Matthau is, however, a very capable comedy actor, and there are times when Polanski seems to be trying for comedy, although search me if you can find a laugh in this movie. One of Polanski’s very worst films was The Fearless Vampire Killers, and again this time, he is totally adrift trying for laughs with an expensive takeoff of a B-movie genre. In a 1988 interview with Michel Ciment and Michel Sineux, Polanski claimed that it took ten years to film. What a bust. Pirates cost an estimated $40 million to produce and grossed less than $2 million. Talk about a decade wasted. Although for the audience, it’s only two hours wasted. Fantasy is always going to be successful. It keeps people’s minds out of an often painful reality. “In adapting the European slight-fright best seller El Club Dumas, Mr. Polanski is out to cross Rosemary’s Baby with his saucy spoof The Fearless Vampire Killers, but this movie is about as scary as a sock-puppet re-enactment of The Blair Witch Project, and not nearly as funny. 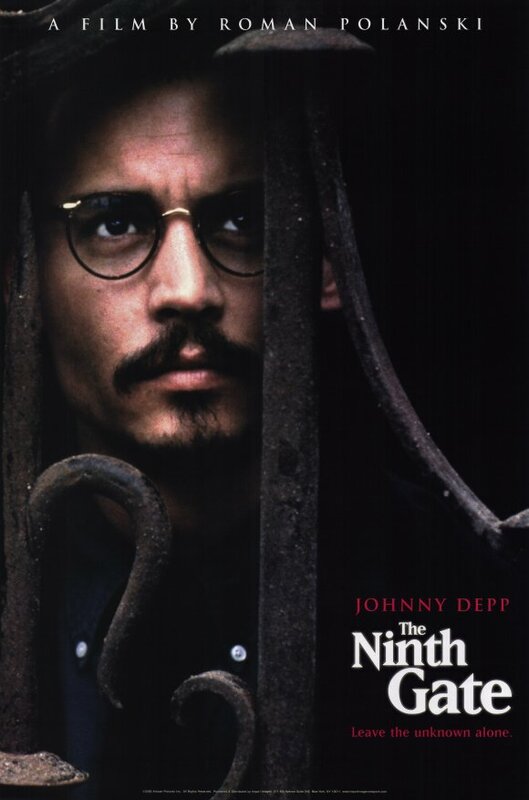 There’s no leading man less interested in staying close to type than Mr. Depp. His Dean Corso is a craven hustler who makes the detached, cowardly Ichabod Crane he portrayed in Sleepy Hollow seem as forceful as Buffy the Vampire Slayer; he shows no interest in vesting learned characters with courage. 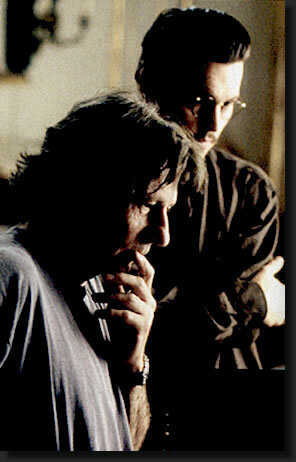 Mr. Polanski’s reflexes are gone, so all he can do is watch the camera pass gracefully from set to set. That pretty bad when the director of Rosemary’s Baby of all films, can’t manage to make an interesting thriller out satanic-themed material. It shows that there must have been something profoundly wrong with the source material. Or perhaps lighting only strikes once or twice (or maybe even three times) in a career. Okay, so Polanski didn’t direct this one or have anything to do with the production besides appearing in it, but still – it’s kind of an odd choice, isn’t it? Surely he must have gotten tons of acting offers throughout the years. What made him choose this project? I doubt the iconic filmmaker had a yearning to appear opposite loud mouthed Chris Tucker in a tired buddy picture sequel. Apparently I was mistaken. At least Ratner got one good review for this one. If you ask me, Polanski was more than generous. Although, in retrospect, Rush Hour 3 is better than Pirates!